HomeMerry X’mas (메리 크리스마스) from Seoul! 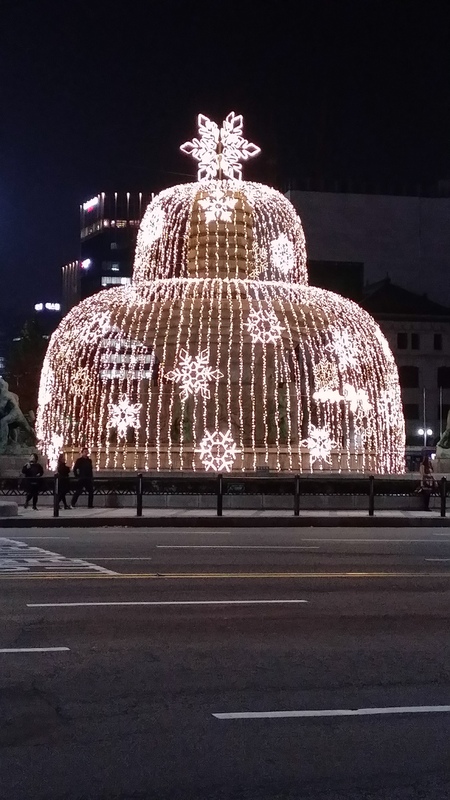 Merry X’mas (메리 크리스마스) from Seoul! Merry X’mas! Tomorrow is the X’mas day – wish all of you Happy Holidays! Although X’mas is a western festival, in South Korea, X’mas is also a great day for celebration with the family members and friends. 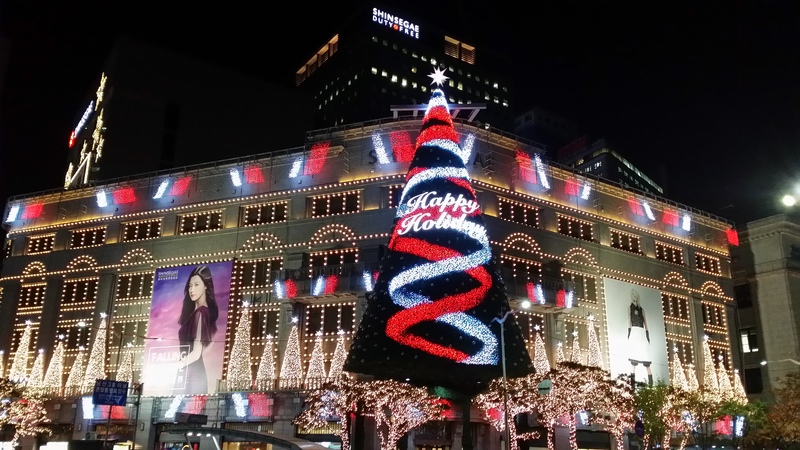 If you are not in Seoul, hope you may be able to get some X’mas greetings from Seoul from the two photos in this blog post. Every December, the Korean entertainment companies release X’mas songs sung by their artists and albums with winter themes. Some of the songs may be about enjoying the X’mas with family members and friends but some may be about having a lonely X’mas after breaking up with the loved ones. One winter song I like very much is EXO’s “Miracles in December” (12월의기적) which was released in December 2013. This song is about a man thinking of her ex-girlfriend with guilt and regret. The melody is simple but soothing and has strong winter feelings. Further, it was released when I was studying Korean in Seoul so I was able to hear it very often in Seoul at that time After coming back to Hong Kong, whenever I listen to this song, the good memories of my Korean study come back to me. Maybe this is also one of the reasons why I like this song. You may listen to it by watching this video.